These are STUNNING Santa Muerte rosaries. 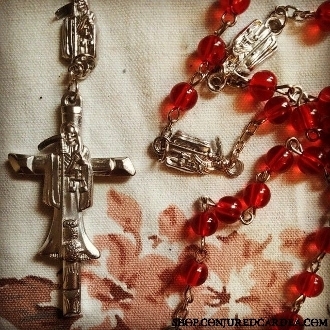 Traditional style, with red beads and lovely santa muerte connectors and crucifix! Traditionally used in love, return lover, relationship or marriage work. It is said to grant great success and blessings to this type of work when prayed with regularly.